Owners, Jim and Donna Palmer opened the doors to Jimmy’s Auto Service in Lacey WA in 1993, and has been bringing excellent customer service to Western Washington. Two years later, Jimmy’s Auto Service would expand to include limousines. Jimmy’s Auto Service has been featured in both ‘Undercar Digest’ and ‘Pronto Magazine’. Jimmy’s Auto Service is also a long standing member of the Better Business Bureau and the Thurston County Chamber of Commerce. At Jimmy’s, we believe in treating customers like family. That means doing whatever it takes to make them happy, even staying late so that we can get your car back to you as soon as possible. We like to keep things simple at Jimmy’s. When you come to us, we’ll give you accurate quotes and let you know exactly what the job entails. Jimmy’s offers full auto repair services on all makes and models, and with our extra large bays we can work on your RV as well. If you have any questions, stop by Jimmy’s and let the experts help you! 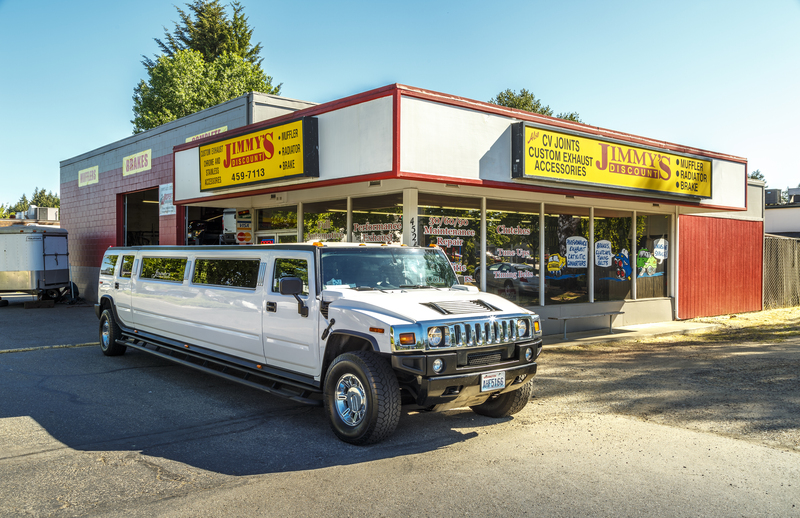 Jimmy’s Limousine Service, which began as a single car operation in 1995, now offers a full fleet of limousines to fit any special occasion covering the entire Puget Sound region with the finest of transportation services. The company was the first to introduce the wildly popular H2 Hummer limousine to the South Sound region. 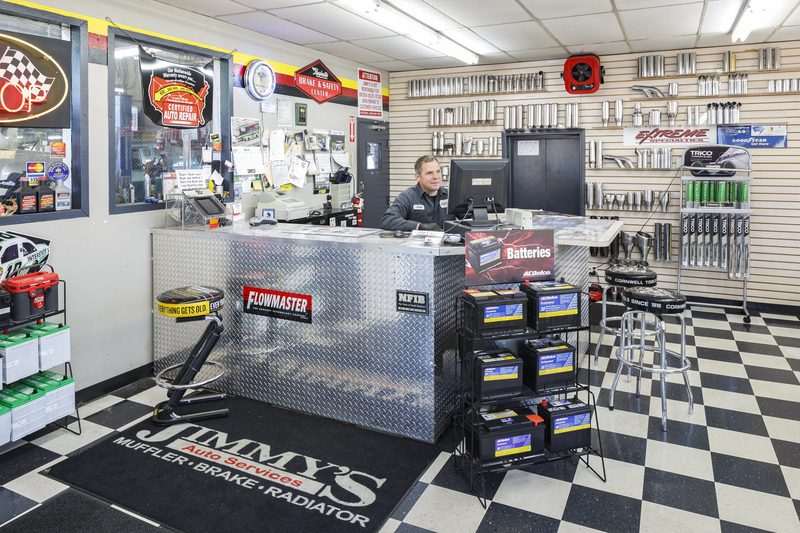 Jimmy’s has built their business on customer satisfaction, safety and affordability. We believe a limousine service should be more than just a ride, you should get top-rated service at a reasonably price. With our years of experience in the industry we provide the highest quality and personalized transportation choice. Whether it is the H2 Hummer or a traditional Super Stretch, we will have you rolling in style and comfort anywhere in the South Sound region.